It’s a simple idea. 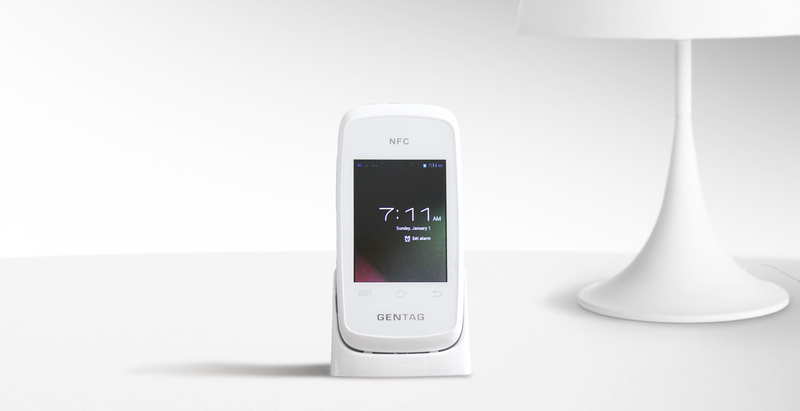 By empowering patients to monitor themselves, Gentag is working to provide the next chapter in wireless diagnostics, point-of-care testing, and drug monitoring. We can bundle custom hubs and firmware, encryption and customized blockchain diagnostic sensors to create exclusive home monitoring kits for health providers and the pharmaceutical industry. Encrypted data is sent back directly to the health provider, thereby ensuring both patient and data privacy. The wireless kits can be as simple as a smartphone with a blockchain NFC or optical biomarker sensor, for example for companion diagnostics. SensorLinker serves as your patient’s in-home mobile sensor hub, integrating information from wireless sensors and relaying encrypted data directly to your data center via cellular networks or WiFi.